Buying your child a pair of headphones ensures you don’t have to listen to Baby Shark on repeat. But it’s important to distinguish which kids’ headphones are safest for developing ears. With these learnings in mind, we’ve chosen the best headphones for kids of all ages. We love the pinch-free hinges that keep your toddler’s fingers safe as they adjust (and re-adjust, as little kids do) the JLab JBuddies Toddler Headphones. 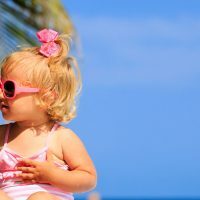 The small, easily adjustable headband also allows for the perfect fit for children as young as 2 years. And because the volume is capped at 85 decibels, these kids’ headphones are an excellent first pair for your traveling toddler. CozyPhones are super-soft and washable, and thanks to an ingenious design, sensitive kids don’t have to to deal with the weight of bulky headphones or the uncomfortableness of ear buds sticking in their ears. 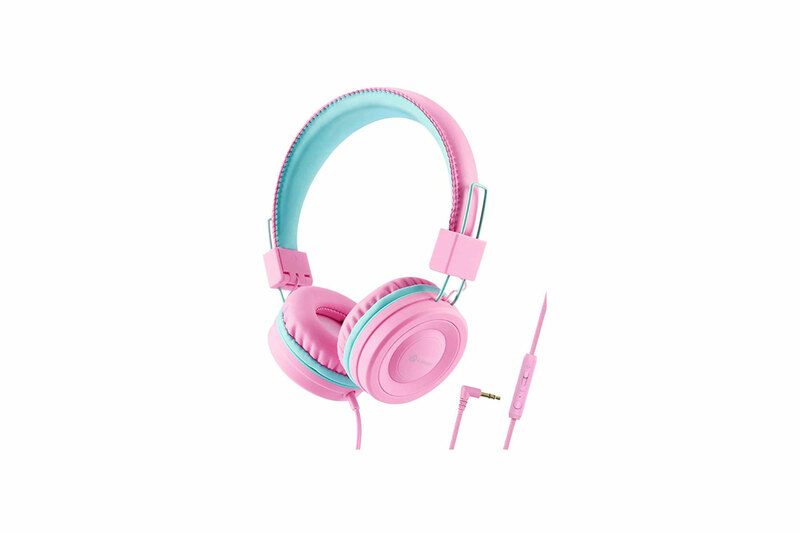 CozyPhones are also safe for children, as the volume of these kids’ headphones is maxed out at 90 decibels. Plus, they’re just plain adorable, with unicorn, Paw Patrol, and other animal designs. 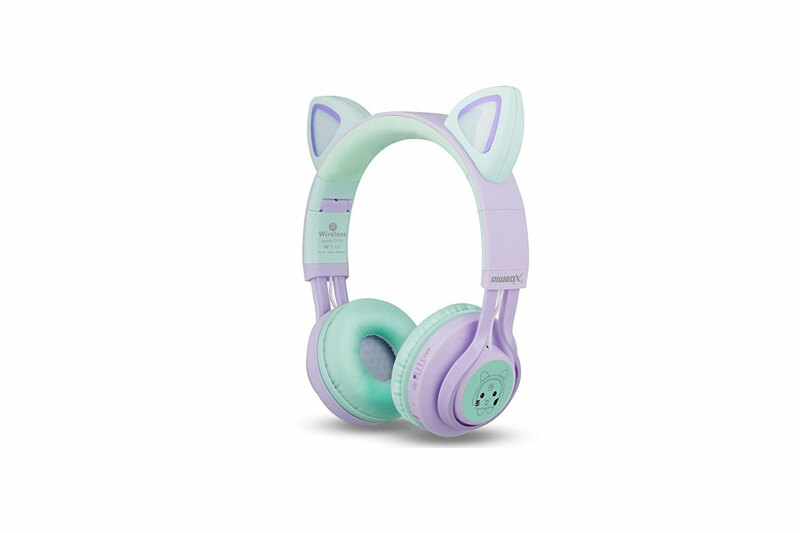 We love these Bluetooth headphones with glittering prismatic LED cat ears! The charming design will make almost any young person happy, and with a maxed out volume of 85 decibels, parents can rest assured their kids’ hearing won’t be negatively impacted. But the coolest thing about the RiBox Cat Ear Bluetooth Headphones is that they’re also wired, so if the battery-enabled wireless mode runs out, or if your kiddo wants to watch a movie on a plane, you can also plug in using the included braided audio cable. 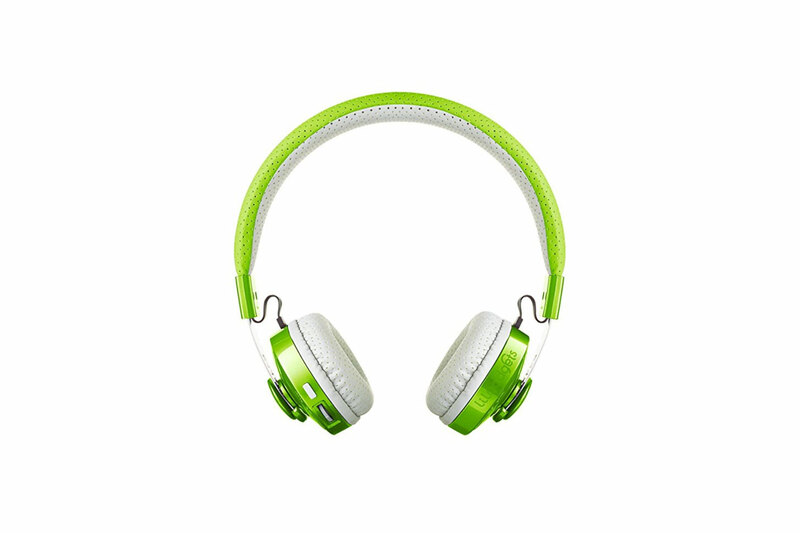 First and foremost, the LilGadgets Connect+ Headphones are extremely comfortable to wear for extended periods of time, fold up neatly, and come with a handy traveling pouch. Secondly, the Connect+ tech is super cool. There’s a SharePort allowing multiple people to share audio without a splitter—the hardest part will be getting your kids to agree on a movie, TV show, or music playlist! Finally, the sound is ‘adult-worthy’ quality, yet it’s limited to a 93-decibel max to help protect growing, but still-little ears. Bonus: A portion of each LilGadgets headphones purchase goes towards bullying prevention and awareness in schools through partner organizations. The Elecder i39 Headphones with Microphone are ideal for big kids who love to play video games with their friends online. The comfort, flexibility for travel, easy storage, and low price point of these over-ear headphones make them a favorite with big kids. The LilGadgets Untangled Pro Premium Bluetooth Headphones score big for reliable connectivity, a beefy battery life of 12 hours, and a generous range of up to 30 feet. While the volume is A-grade, it still maxes out at 93 decibel for safety. These kids’ headphones also come with a SharePort, allowing siblings to share the Untangled Pro Premium’s Bluetooth connection and watch their favorite movies on road trips, flights, or at home on the sofa while you prepare dinner in peace. The iClever Over-Ear Headphones work equally well plugged into a phone while on a plane as they do at home in front of a PC playing Fortnite with friends. 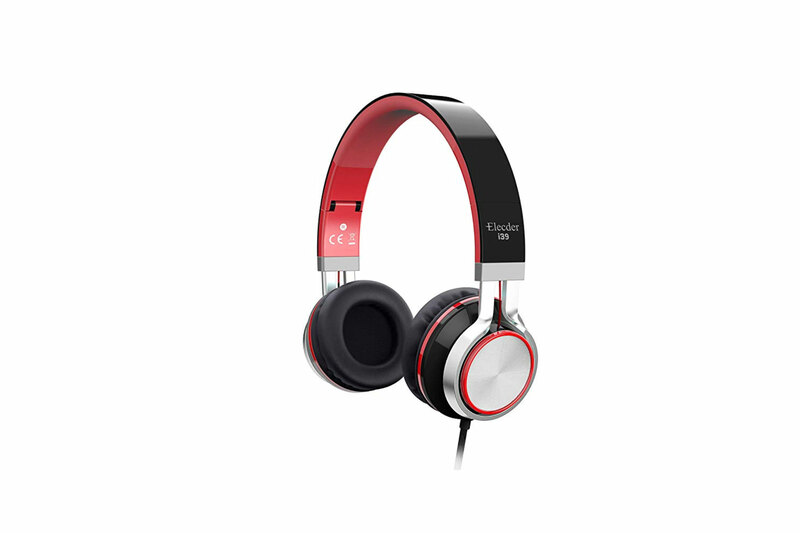 The cushioned adjustable headband, tangle-free wire, and extremely durable construction make these iClever headphones very clever, indeed. You’ll also be happy to know the volume is capped at 94 decibels, and that they cost less than $10. Strong sound performance, minimalist design, eight-plus hours of battery life, and generous wireless connectivity range—all at a fair price for a name-brand—make the Sony Wireless Bluetooth Earbuds our favorite for teenagers. Bluetooth earbuds connected by a short wire that goes around the back of their neck means you can remove one earbud to ask about their homework progress or remind them to clean their room without that other earbud going missing (we’re looking at you, overpriced AirPods). While teens rarely talk on the phone anymore, the microphone for hands-free calling and voice assist on these Sony Bluetooth earbuds are value-added bonuses. Sleek and handsome, these over-ear bluetooth headphones have a reliable, great sounding microphone with hands-free controls and 45mm large-aperture drivers giving your teen deep, accurate bass response to make their music sound incredible. When listening between 75 to 85 decibels, the COWIN E7 PRO headphones provide crisp, powerful sound and absolute quiet. A strong 30-hour battery life on a full charge means your teenager will get a lot of mileage from their headphones, even if they do routinely forget to plug them in.